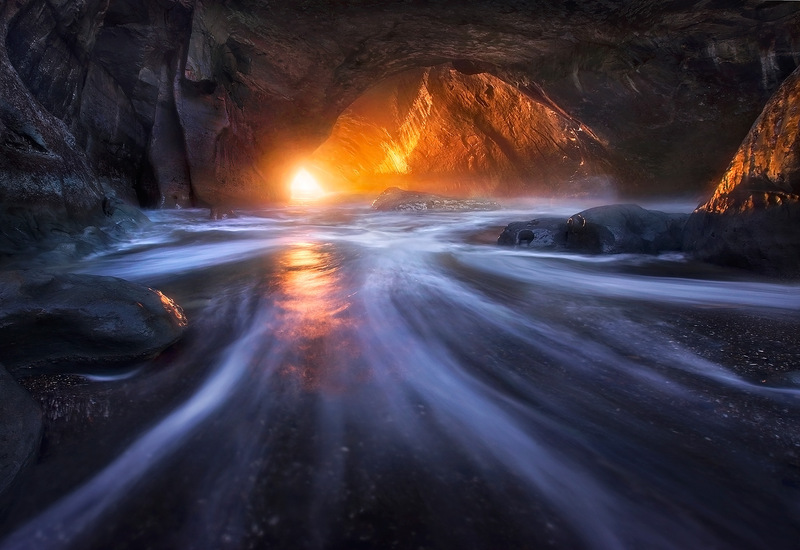 At just the right time of the year on a clear day, the last light of sunset filters into this enormous, 200ft long, sea tunnel on Oregon's coast, illuminating the misty interior carved out by the churning waves. Large swells roared down the cavern and exploded all around me on the other side. Although I ended up getting totally soaked, I particularly enjoyed photographing the waters receeding back into the light. Photo © copyright by Marc Adamus.